If you are just beginning your family history, there are words that might be foreign to you, like GEDCOM. 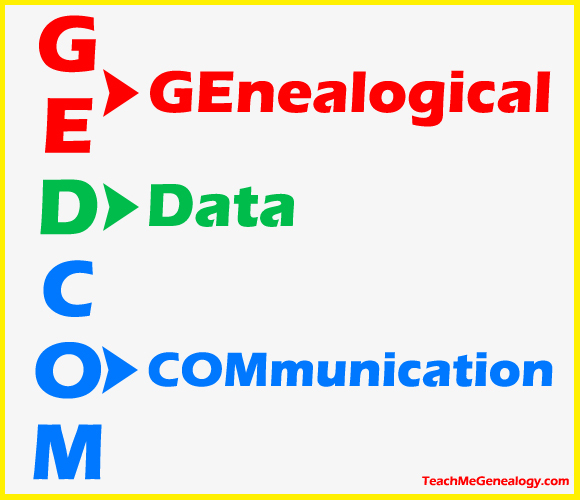 Which stands for GEnealogical Data COMmunication. It was created for exchanging genealogical data between different genealogy software. 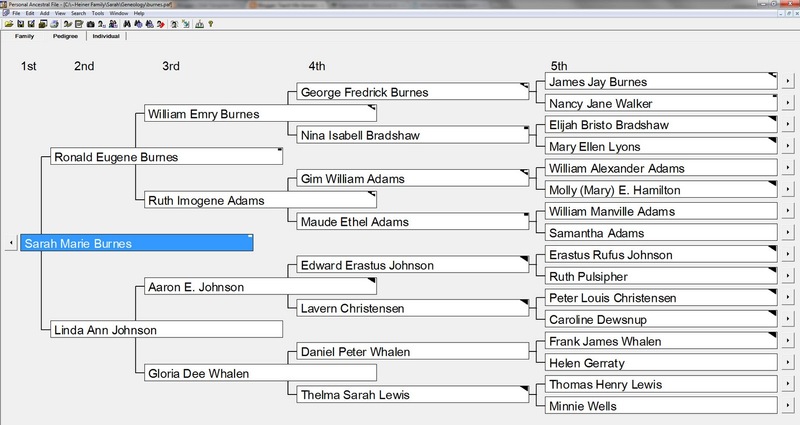 GEDCOM was developed by The Church of Jesus Christ of Latter-day Saints (LDS Church) as an aid to genealogical research. I currently use PAF5 as my main Genealogical Software. There are so many others that are just as good, but I am really attached to this one because it's easy to use and it's free. Once you have added your family info into the software, go to the top left and click on FILE, then PRINT REPORTS, and you will see all the fun stuff you can print. 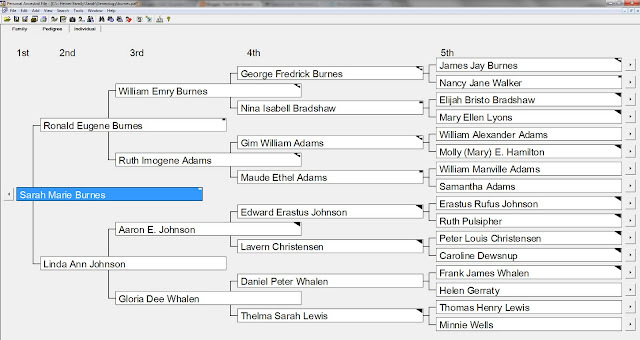 Here is a snapshot of my 5 Generation family tree using PAF5. Set a goal this week to get your first 3 generations added into the software. Have Fun! !